Each year, thousands of large trucks and buses are involved in collisions on United States roadways, freeways, and highways. Many of these result in severe injuries, including broken bones, head trauma, burns, spinal cord damage, brain damage, paralysis or even death. If you or a loved one have been victims of a truck accident for which another driver was at fault, you may be entitled to financial compensation. To protect your best interests, it's important to partner with a personal injury attorney who can guide you through a potentially complex process. Negligence: This applies in scenarios where the truck was loaded improperly, or where the driver lacked sufficient experience, disobeyed traffic laws, did not take the required breaks, failed to stop at weight stations and/or drove a large truck on dangerously narrow roadways. Product Liability: Your attorney may choose to file this type of lawsuit against the manufacturer if the truck or a component of the truck was responsible for the accident. Wrongful Death: If the victim of a truck accident dies as a result of the collision, the survivors can file a wrongful death lawsuit to claim compensation to cover their medical expenses, funeral costs, lost income and other damages. For all of these types of cases, there are very specific and complex requirements and an exhaustive amount of information that must be collected and presented. It's important to partner with an experienced, capable attorney with a proven track record of success representing personal injury victims. Why Choose GCE Law as Your Personal Injury Attorney? 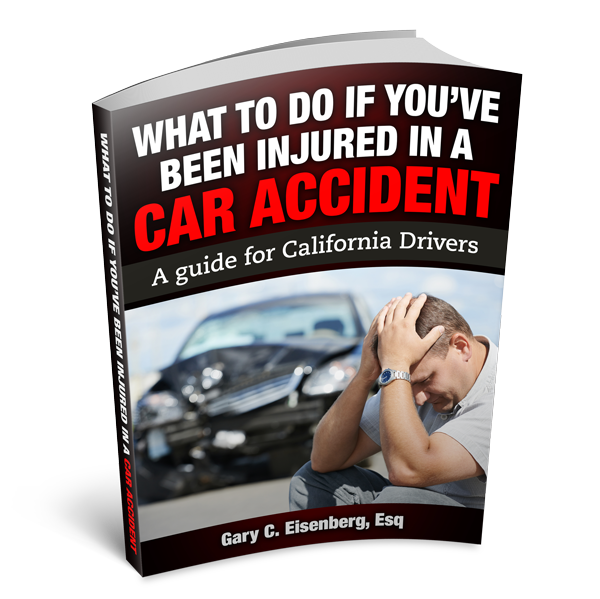 At The Law Offices of Gary C. Eisenberg, we have more than 30 years of experience practicing personal injury law, including cases involving truck accidents. As a former employee of insurance companies, Gary has an insider's perspective of how they operate, and what tactics are most effective in achieving the best possible settlement. When you choose us as your Calabasas personal injury attorney, we will guide you through every step of the process, and will fight to recover funds to all medical bills, rehabilitation costs, physical pain and suffering, lost wages (current and future), mental distress and other losses. We will strive to win a generous settlement out of court, but we are willing and able to take cases to trial as needed. If you've been injured in a truck accident, time is of the essence. There is a limited period of time for you to initiate the claims process. The longer you wait, the less chance you'll recover the funds to which you are entitled. Contact The Law Offices of Gary C. Eisenberg today to get back on the path to physical and financial wellness, while helping to support your family members and anyone else who has been affected by your truck accident injury.